I had a group counseling session with a class at school, and one of the topics we brushed on was gender equality and how it’s important to be human being before anything. Racism is common everywhere in the world, and while we are all entitled to our own opinions, I just wanted to share a basic realisation that I believe is worth sharing and at-least a discussion amongst your friends and family. As human beings if we can’t be human, then we shouldn’t claim to be of any religion, belief or discriminate anyone on the basis of colour, caste, creed, education, economic status etc. It’s just pointless. No matter where in the world you are, when we bleed we bleed the same blood. This reminds me of a book ; ‘Whoever you are’ by Mem Fox . It’s a beautiful book for even the adults to read, it simplifies the issues of the world to the basics, in the end we are all human. 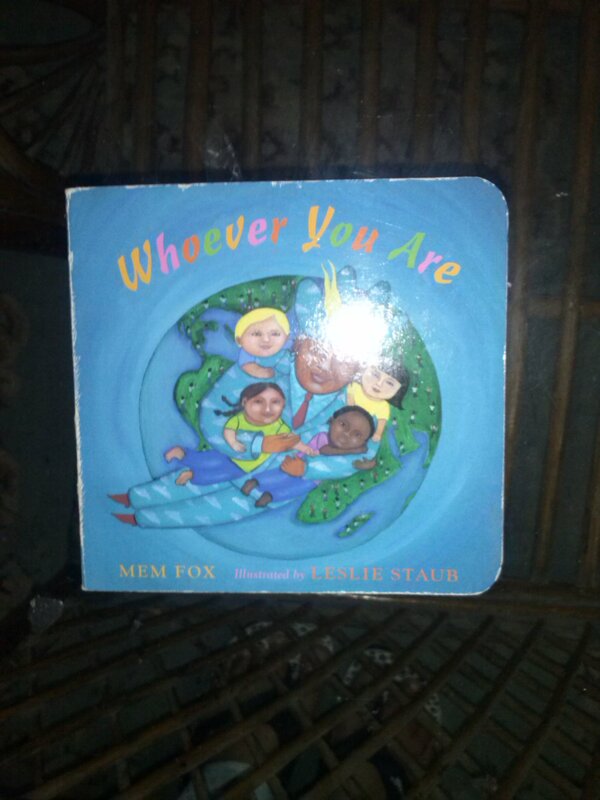 I highly recommend parents and teachers to read this book multiple times to their children/students. Host discussions on the topic, and sensitise everyone on being human. This book reasons with logic, that no matter where you are in the world the pain we feel, the blood that pours out, the feelings are all the same, no matter how we look, what we become, how qualified we get, no matter how different we are, we are all the same, we are all human. Explaining everything to children becomes easy when you break it down, the essence of us and what makes us unique from animals is our capacity to be beings with intellectual capacity, to understand, sympathise, empathise with fellow beings. And if we can’t be human, then we are worse than animals. So on and on again the Hyderabadi atmosphere will lead all moms into the deep dark side of domestic drama. And I have the ultimate solution. A check list. A positive check list of realistic goals, goals that can be achieved on an everyday basis, not a week, every single day. Be it organising your little make-up collection or sorting out your shoes. As long as you do something for yourself, and keep your mind busy you are happy. Somethings, people, attitudes don’t change. We are the only person we have control over. So lets make a better future for us one check list at a time and one child at a time. Make sure that our children grow up to be self-sufficient, happy, safe, and grateful and respectful to the people around them. The drama is inevitable, that’s not something you can control, be it a family member, or any random auto guy. What can be worked on is only what you control. So concentrate on that, and make your life so busy that you’re too busy to be consumed by random low mindedness! Stay positive mommys hang in there! !